If you're looking to place an ad during the Super Bowl, be prepared to shell out $2.4 million for a 30 second spot---and that doesn't include all of the money that goes into actually creating the ad. Fortunately, most businesses aren't looking for such prominence when they decide to make a TV commercial, and as technology improves, the costs of producing a commercial have become relatively inexpensive. There is no real average cost to make a TV commercial; the costs vary widely depending on what production company or agency you use, the quality of the ad you want, and when and on what channel or channels the commercial will be broadcast. Although unlicensed television commercials ran as early as 1928, the first-ever licensed TV advertisement was broadcast during World War II, in July 1941. Viewers in the U.S. who tuned in to brand-new NBC station WNBT-TV to watch a baseball game between the Brooklyn Dodgers and Philadelphia Phillies saw an ad for the Bulova watch. The advertisement reportedly cost $9 and reached approximately 4,000 households. In the 1950s, TV commercials took off, especially for cigarettes, which spawned the very successful "Marlboro Man" campaign that featured John Wayne. As commercials became more popular, advertising agencies began to rely on creativity to make their ads stand out. Some of the most popular commercials catch viewers by surprise or make bold claims, including Volkswagen's "Think Small" campaign in 1959, Apple Computer's famous "1984" ad that ran only once, the Energizer bunny ads of the '80s and '90s, and Nike's "Just Do It" campaign, which kicked off in 1988. Today, television ads rely on compelling imagery, witty slogans, celebrity appearances, and humor to catch the attention of a potential customer, and although commercials are much more complex (and expensive to both create and place), the goal remains the same -- to pitch an idea or to sell a product. The cost of a television advertisement often depends on where the ad is placed. For example, national TV spots on the final of the popular show "Survivor" sold for $1 million, and commercials sold for $750,000 on "Who Wants to Be a Millionaire." Big-time networks ABC, NBC, and CBS book a combined $10 billion in advertising revenue during a typical year. But producing and running an ad for a local network is much more cost-effective. To place a commercial on a local cable station, you'll only need to pay about $50 per spot, although that depends on the time of day the ad runs, the length of the ad, and the programs being shown when the ad runs, among other things. To create a TV commercial, be prepared to spend a bit more money. Some companies, such as spotrunner.com, offer prepackaged advertisements from their digital libraries to help you save costs. In the case of spotrunner.com, you can purchase a basic prepackaged ad for less than $500, then customize it with your own script and voice overs for an additional $249, all facilitated through the company. Many local production companies do it even cheaper---for $300 or less---but it requires a bit of research to find a nearby company that can get the job done. So you've gotten past the cost factor and you're ready to make a TV commercial to take your business or product to the next level. The first thing to do is to establish a budget that will help you determine how much you can spend to make the commercial and then to air it. Next, find a good production company utilizing search engines, directories, and word of mouth (if you see a local ad that you like, contact the advertiser to find out who its production company is). When you're making the commercial, make sure that it stays focused on your particular brand and message, and that it has some unique quality that will make it stand out in the field. Don't be afraid to ask your customers or clients for input on what they think would work on-air. After the commercial has been made, skip the middlemen and work directly with your local (or national) cable provider to get your ad placed. You can also think about airing your commercial online, on your website or on a video site such as YouTube, to gain more exposure. Unless your business is strictly local, placing your commercial on national television may be your ultimate goal. A few smart moves can create the same desired result. 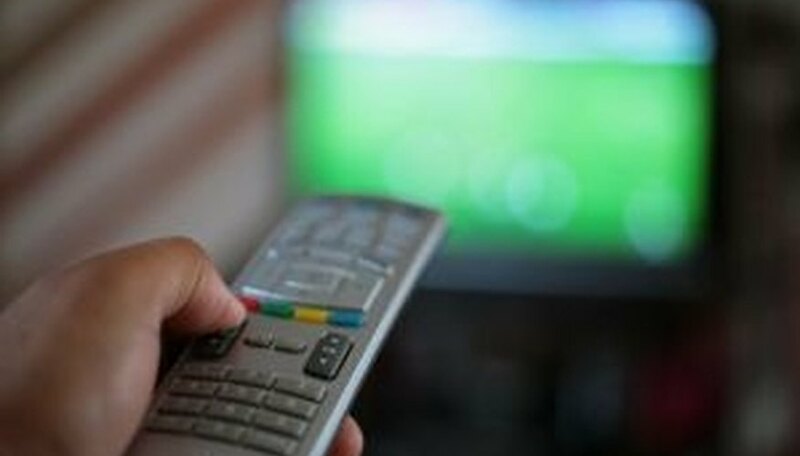 Two options to consider for widespread viewership are to advertise on multiple local channels, or to advertise on national television stations that have spots for localized ads. The second option means, for example, that if your company is based in Madison, WI, you can set up your commercial so that when viewers in the Madison area tune into CNN, they will see your ad during the programming break. CNN is a national station, but your commercial can still run more cost effectively if it is reaching a limited audience. Talk to the sales representative for the cable provider to determine your options. In the world of advertising, repetition is key, and you will probably need to buy multiple slots on television, locally or nationally, to make sure you're reaching the desired audience. Determine when your targeted viewers are most likely to be watching, and purchase advertising time accordingly. Cost-cutting may seem desirable when making a television commercial, but take care that you're not cutting corners that will make your ad less effective. Commercials are very high-profile, even if they're only run on a local network, and a poorly made commercial will reflect poorly on your business or organization. Such commercials have poor visuals or graphics, may appear fuzzy or have distorted color, and make use of advertising cliches. Many small businesses fall into the trap of trying to gain publicity by placing a television advertisement with an inadequate budget production budget, and the result is likely to make viewers want to flip the channel. Also, because of the compression rate of commercials when they are aired, the volume is typically higher than that of the regular program, which is also annoying to those who tune in. Be sure to take that into consideration when you aim to get on the air, and if your attempted outcome is less than desirable, think about making use of other venues for publicity, such as ads on the radio or the Internet. Sarah Shebek Emlund has written for Still Magazine, the official magazine of A.T. Still University. She has experience writing in a variety of different formats, including for newsletters, press releases, websites, and blogs, as well as writing research-style papers and translating technical material. How Do Television Shows Make Money? How to Get on HGTV's "Property Virgins"